Johannesburg, South Africa – On August 17, over 30 journalists, commissioning editors and news analysts gathered to share their views and ideas to understand their role in peace building. Under the theme of ‘The Role of the Media in peace building’, this was the very first Heavenly Culture, World Peace, and Restoration of Light (HWPL) Media Forum on African soil which was held in collaboration with the national broadcaster, South African Broadcast Commission (SABC), more specifically SABC TV Religion. 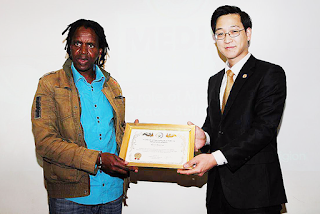 With the example of fellow news broadcasters from across the globe who have undertaken the role of HWPL publicity ambassadors, the media representatives from both print and broadcast engaged in dialogue with one goal – reporting the work of peace accurately. Guest speakers included the Head of SABC TV Religion Ms. Yashika Sigh, news analyst Mr. Zanele Mashinini, and producer from iTV Ms. Aadila Amod who were joined by members of the International Peace Youth Group (IPYG). During the course of this year, social hostility concerning religion increased significantly with terrorist groups such as misrepresented religious groups, causing a great concern for the protection of youth and women. Having joined Chairman of HWPL Mr. Man Hee Lee’s peace movement since the World Alliance of Religions’ Peace (WARP) Summit in 2014, Ms. Yashika Singh said, “I enjoyed the opportunity to engage with different media, both print and broadcast. After declaring the Declaration of World Peace in Seoul, South Korea on May 25, 2013, Mr. Man Hee Lee, together with the Chairwoman of International Women’s Peace Group (IWPG) have been working fervently towards the enactment of drafting an article on convention on renunciation and cessation of war and international armed conflicts as well as the unity of religion. 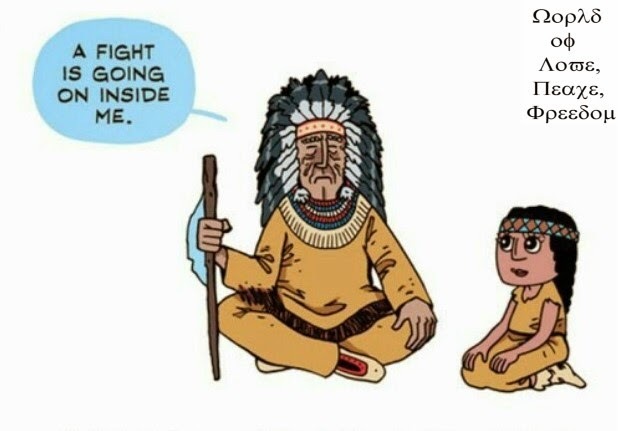 Transcending boundaries, races, and religions, these two peace activists are changing the course of history as they gather leaders and media around the globe for these two purposes. 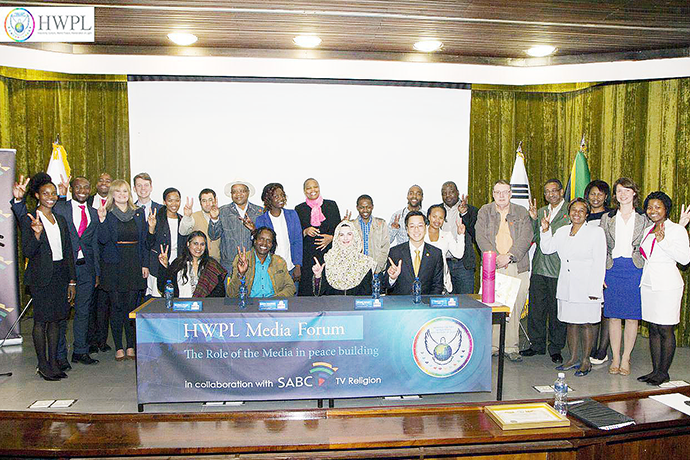 The first HWPL Media Forum in SA in collaboration with SABC TV Religion is the first of many. It is expected to have a positive effect on peace building in South Africa, the African Continent as well as the entire world.